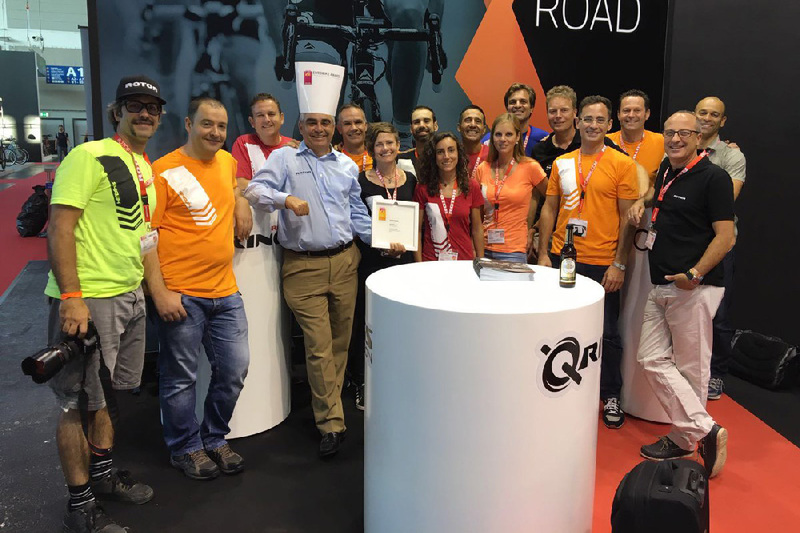 ROTOR 2INpower was one of 51 winners awarded a prize during a ceremony on the first day of Eurobike. Guests at the Eurobike Awards ceremony could be forgiven for thinking they were in Hollywood. The first day may not have seen Oscars presented to the international bike industry, but instead were honored with an accolade that is hardly any less prestigious. 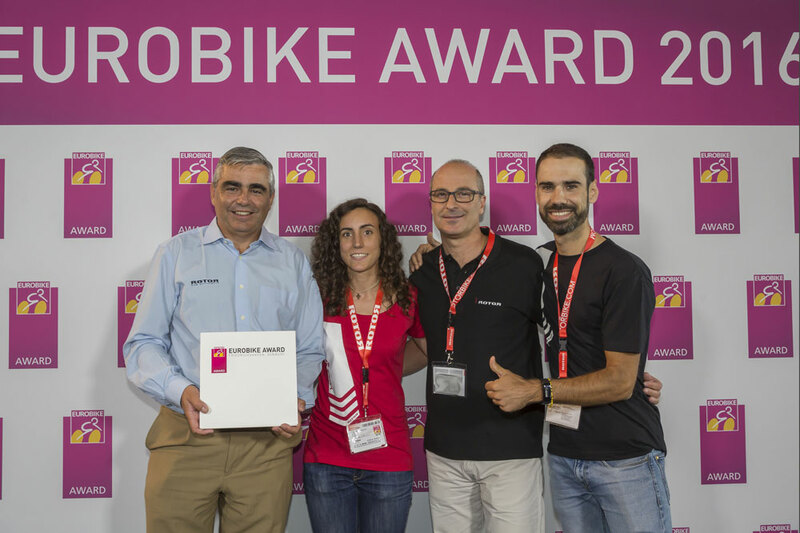 The Eurobike Award distinguishes products and concepts that stand out on account of their special innovations, new functions and outstanding quality. And for the crème de la crème, there was special distinction in the form of twelve Gold Awards and one Green Award. When the Eurobike trade fair opened its gates for the 25th time in Friedrichshafen this morning, it also marked a quarter century of innovation within the bicycle industry. For a number of years now, the Eurobike Awards have served as a magnifying glass that focuses attention on new products and innovations from the bike sector. 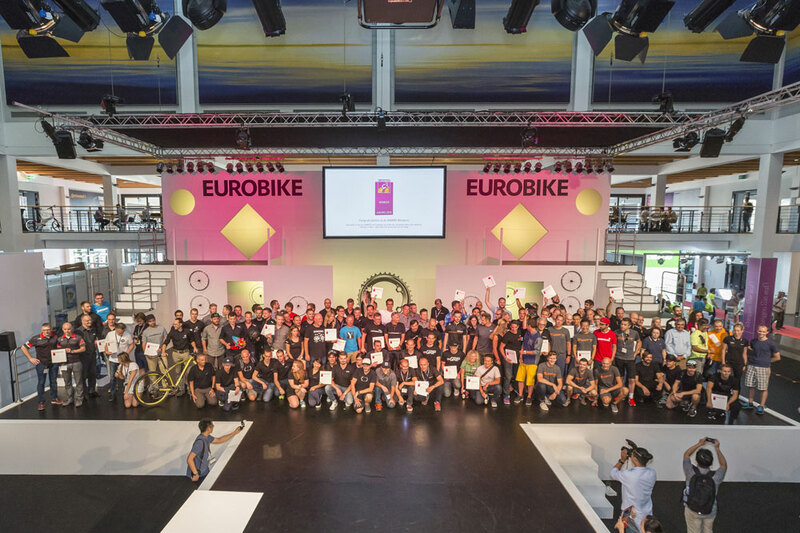 The field of entrants for the 2016 Eurobike Awards shows that there is no cause for concern about the future of the industry; the 472 entrants are an impressive demonstration of the innovative spirit within the sector. In a two-stage decision-making process, an expert panel of six judges awarded a Eurobike Award to 51 new products after critical examination and intense discussion. 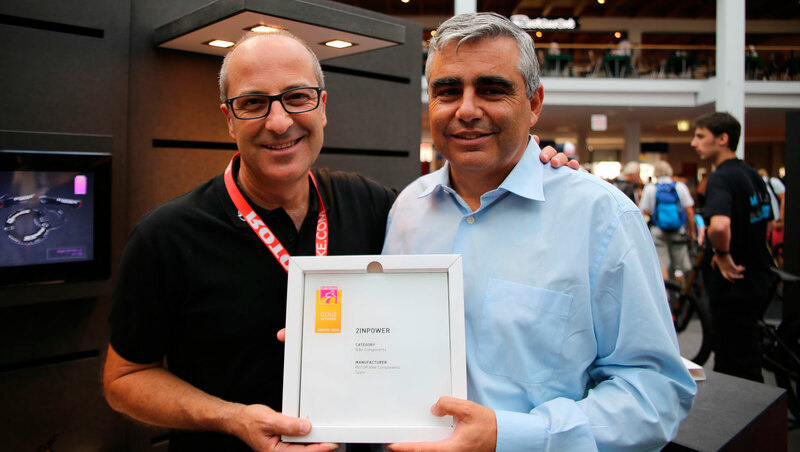 Among them were twelve companies, which in the judges’ opinion, redefined the benchmark for innovation and are therefore worthy recipients of a Gold Award.